Your BIO is crucial! This is your follower’s first impression of you. How you craft your bio will often determine whether or not someone decides to follow you on Pinterest. Your NAME is a key factor. Ensure your name has your business name and if you are a solopreneur, your name as well. Your description should be CLEAR. What type of content can people expect? Your description can tell people who you are and what you do and it can also direct them with a specific Call to Action. Add a SAVE or PIN button to your website – This makes pinning your content for your readers and customers EASY! SEO your account. This means including keywords in your profile name, your Pinterest board titles as well as in their descriptions. Optimize your boards. Work your way up to 50 pins per board as quickly as you can (following a consistent posting method). AND continuously add pins to these boards each week to keep them active and on the Pinterest algorithm radar. Pin from other sources as well as from your webiste I encourage you to use an 80/20 rule here. Eighty percent of the time, pin from other sources, and always remember to check the PINS to ensure that they have active links that are not mis-leading for your followers. We want to ensure that we are gaining their trust. Use Optimal Pinterest Image sizes for your pins. This has changed slightly over time, however the ratio of 2:3 has remained consistent. At this time, an image of 600 x 900 pixels is ideal for your pins. Using this social media platform can be a HUGE traffic generator for your website. Give it a try and be sure to let us know your URL in the comments so that we can all follow and support you! We want to support YOU in growing your brand and business online! 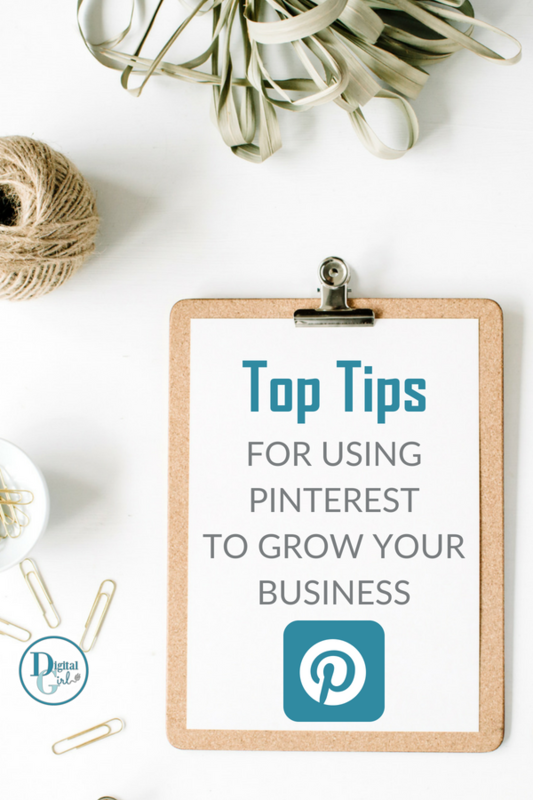 Before you start using Pinterest to grow your brand online, there are some limitations and tips you need to know! You will also receive occasional emails with tips, tricks and opportunities to help you along the way! Be sure to CONFIRM YOUR SUBSCRIPTION in order to agree to receiving the email from us!